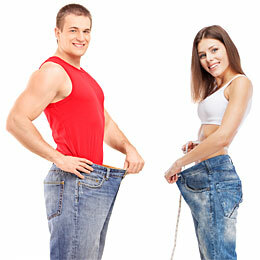 Practical Weight Loss Tips: How can I lose weight and stay fit? We all know that losing weight can be a whirlwind of an effort. The yo-yo dieting, the endless hours of cardio each and every day. It’s exhausting and normally does not get you the results you desire. You have probably tried some sort of diet or exercise program before and actually lost weight. Most likely it all came back on as soon as you stopped whichever program you were on. This tends to be the case with the majority of people out there trying to get in better shape. The reason this happens so often is due to the fact that the majority of what you see on television and in the magazines is not completely true. They’re usually just trying to sell you on a product or buy into one of their fitness programs. You get on the program and lose weight then get off the program and the weight comes back on. It’s a never ending cycle for a lot of people and that’s how they lock you in. You’re constantly stuck having to keep paying for their program to keep the weight off. Now I’m here to tell you that it’s not as confusing as it seems to actually permanently lose weight. It will take some effort and dedication but it is very achievable by anybody, even if you think you won’t be able to do it. How Does Weight Loss Actually Work? If you are in a calorie deficit you will lose weight. If you are in a calorie surplus you will gain weight. Make sure you take the time to read below to figure out exactly what these two sentences mean. When it comes to calories, your body burns a certain number each and every day just by being you. That means your height, age, weight, and gender all play a role in how many calories you’re going to burn from day to day. Let’s take an example client Jenny. She’s a 30 year old 5’6 female that weighs 160 pounds. The amount of calories her body burns each day, by just being her, may be about 1,500 calories. This 1,500 calories is what her body would burn just to lay in bed each and every day and do absolutely nothing. Now not everybody has the luxury to stay at home and lay in bed doing nothing all day. This is why we have to account for lifestyle factors such as how active someone is at work and how much exercise they perform on a weekly basis. Let’s say Jenny has a desk job (fairly sedentary) and works out three times per week. This may bump her daily calorie burn up to an average of 2,000 calories a day instead of the 1,500 as mentioned before. Now that we have an idea of how many calories Jenny burns every day, we can figure out how many calories she needs to be eating/consuming to lose weight. One thing to understand is that permanent weight loss only comes from being in a calorie deficit. What this means it that your body needs to burn off more calories than you’re eating/consuming. To calculate this number, as to whether or not you will be in a deficit for the day, you need to take the amount of calories you eat in a day and subtract the amount of calories your body burns based off of your body type and exercise levels. Let’s say Jenny eats 1,500 calories and she burns off 2,000 calories. She would then be in a calorie deficit of -500 calories for that day. How fast she loses the weight depends on how large of a deficit she is in. The magical number to know for this is 3,500 calories. 3,500 calories is considered equal to one pound of fat. The gold standard is to take this 3,500 calories and divide it by seven days. This would come out to be 500 calories/day. So if our example Jenny was in a deficit of 500 calories a day for an entire week she would lose a pound of fat (500 calories x 7 days = 3,500 calories). This also works the other way around in terms of putting on weight. If she was in a surplus of 500 calories per day she would put on a pound of weight in a week. For example if she ate 2,500 calories and only burned off 2,000 should would be in the positive for 500 that day. That’s what you may be asking yourself at this moment. All you would need to do is create a larger deficit each day. If you wanted to lose 2 pounds in a week you would double the deficit from above. Instead of being in a deficit of 500 calories/day you would need to be in a deficit of 1000. This does sometimes cause a problem though. Losing weight too quickly can really throw your metabolism in a downfall. If you stay at too large of a deficit for too long your body will go into a starvation type mode where it will make this extremely low calorie level the new normal. It will then store the calories you’re consuming and turn them into fat. So you want to make sure that you don’t go overboard in terms of trying to lose weight too quickly. You never want to go below 1,200 calories/day. That’s the minimum to allow yourself to get enough food in the body to provide it with the necessary nutrients to be healthy. Healthy weight loss that tends to be more permanent is 1-2 pounds per week. That’s 8 pounds over the course of a month and can be up to 96 pounds of healthy weight loss in an entire year! Note: If you want a precise measurement for yourself you can go into Google and type in “Mifflin St. Jeor Calculator” to find a calculator that will tell you exactly how many calories you burn. What About All The Different Diets Out There? Now that you understand a little bit about how weight loss actually works, we can go into choosing from all of the different diets out there. You may be asking yourself “What about this diet and that diet?” Well the truth of the matter is, any diet can work. Yes that’s right. There is no one true save-all diet for anybody. Everybody is a little different and that’s why some diets work for some but not for others. The problems most diets cause are longer term issues. Most diets that you read about tend to severely restrict certain nutrients or types of foods at some point during the whole process. This generally causes terrible relapses of over-indulging whenever you get a chance to eat those specific foods you originally cut out. For example the Atkins diet tends to pretty much cut out most carbohydrates. This will lead to rapid weight loss initially but eventually it slows down. Soon enough you will have a craving for carbohydrates and once you get that chance you’re going to go all out and eat more than you usually would. Then all of a sudden all of the weight is put back on. 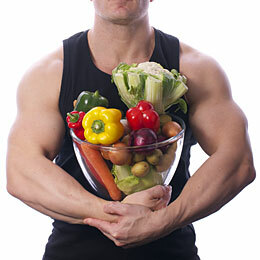 For most people it’s too difficult to completely cut a certain food out of their diet in the long run. Drastic changes to your diet are not what you need to get the weight loss you desire. It should be based on more habitual changes day in and day out over the course of weeks, months, and even years. You have to realize that if you have been eating a certain way for years and years it is not going to be easy to go all out and completely cut out the foods you enjoy. Instead you should slowly take the bad foods out of your diet. Don’t get me wrong, there is some good to the abundance of diets out there today. The one great thing about mostly any diet you see, regardless whether or not they’re low carb, low fat, high fat, or any other combination is that they all create awareness of what you’re eating. Once you get on a diet you will be more in-tune with the types of food you eat on a day to day basis. Generally most diets prescribe cutting out processed foods which we could all use less of. They also suggest more veggies, more lean protein, and less processed foods. These are all changes that we could and should take into effect. One problem is that a lot of the diets out there will hide the fact that these are the basic principles of the diet. Instead they attribute the weight loss to one specific item that was taken out. This allows them to actually sell you on a specific program or “weight loss” supplement they’re trying to get you to buy into. The reality is that they forced you to be consistent with your eating habits by increasing the amount of healthy foods you consume and decreasing the amount of unhealthy foods you’re putting into your body. This rolls into the last section where I’m going to talk about consistency. No matter what you decide to do when trying to lose weight, consistency really is the key. Consistency with your diet and exercise from week-to-week is what is going to get you the results you want. It’s doesn’t really matter what diet you go on, or what exercise program you get on if you can’t keep it consistent. Consistently eating better and moving more will be enough to start getting you results. Eventually plateaus will occur and that’s when you will need to change things up a bit but for now just focus on eating healthier and exercising more consistently. The people that get the best weight loss results are the ones that stay the course over the long term. It’s very easy to fall back into bad habits and that’s the case with a lot of people. If you can make better choices each and every day, you will lose weight. You just have to be patient. You can’t expect to drop fifty pounds in two weeks if it took years to gain that much weight. A general weight loss rule is 1-2 pounds of weight a week is healthy and will probably be permanent. If you’re losing weight at a much faster rate than that you may be losing lean muscle tissue which is the one thing that keeps your metabolism going. Also your body may go into a bit of a storage mode because it isn’t getting fed the amount of calories it really needs. There will be bumps in your weight loss journey, but don’t be discouraged. Some weeks you will lose multiple pounds. Some weeks you will put on weight. Don’t give up though, be consistent and the weight will come off. Weight loss truly only comes from being in a calorie deficit on a day-to-day basis. 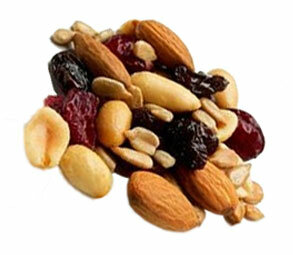 It does not matter how much of your diet comes from carbohydrates, fats, and protein. If you are burning off more calories than you are eating you will lose weight. Don’t worry so much about being on some specific diet either. Be consistent with what you eat and I guarantee you that the weight will come off!